Osteopathy is a system of diagnosing and treating medical conditions that focuses on the structure and functioning of your whole body. 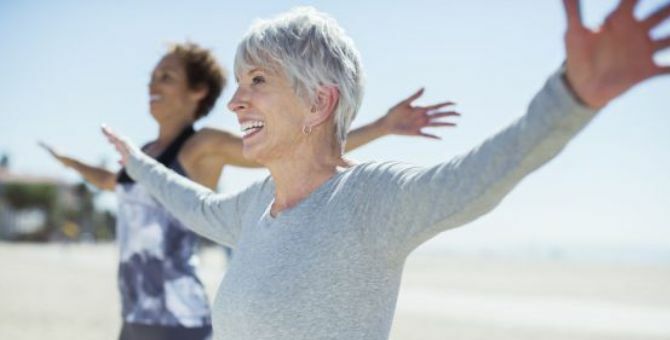 It’s based on the idea that your general health and wellbeing depend on your bones, muscles, ligaments and connective tissues all working smoothly together. Back pain is one of the main conditions for which people seek help from an osteopath. Osteopaths use manual techniques like massage and manipulation to try to reduce your pain and prevent it from coming back. Why would I see an osteopath for back pain? If you have lower back pain that’s causing significant problems or doesn’t seem to be improving, it could be worth trying manual therapy. An osteopath can offer this type of treatment for any type of short or long-term general lower back pain. They can also help with sciatica – pain that spreads from your back down your legs. Most people arrange treatment with an osteopath themselves, by booking a private appointment. In some areas, osteopathy might be available on the NHS and your GP may refer you, but this isn’t very common. See Finding an therapist, for more information. Physiotherapists, chiropractors and osteopaths are all health professionals who can treat back pain with manual therapies, but their approach to treatment is slightly different. Chiropractors have a specialist interest in neck and back pain. Like osteopaths, they also look at your body as a whole. They’re interested in how problems with your bones, muscles and joints affect your nervous system and general health. Their focus is on manipulation of the spine – but they may use other techniques too. It’s your choice which type of practitioner you see. However, if you’re seeking NHS treatment, you will most likely be offered physiotherapy because the other services are often not funded. If you’re booking treatment privately, think about what you’re hoping to get out of therapy and which approach appeals to you the most. It can be worth contacting a few different practitioners to discuss your own circumstances. If you have health insurance, contact your insurance provider to see what you may be covered for. What happens when you see an osteopath for back pain? A first appointment with an osteopath will usually take around 45 minutes to an hour. Your osteopath will want to talk to you about your back pain and your health in general, as well as any other treatment you’re having. They’ll probably ask you to remove some clothing so that they can examine you. If so, you should be provided with a gown or a towel. If you feel uncomfortable, you can ask for a friend or relative to accompany you. Your osteopath will look at your whole body in relation to your back pain – they may observe you making some simple movements and stretches. They’ll also feel around your joints, ligaments and tissues with their hands (this is called palpation). Your osteopath will talk to you about what they’ve found from their examination before they go ahead with any treatment. They’ll explain what treatment they recommend, and the benefits and risks involved. They should also talk to you about how many sessions you’re likely to need and what this will cost. Be sure to ask your osteopath any questions you might have. It’s important that you fully understand what is involved in your treatment because you’ll be asked to sign a consent form to go ahead with the treatment. Your osteopath will use manual techniques to try and reduce your back pain. Osteopathy techniques aim to increase the movement in your joints and relieve muscle tension. Some of the main techniques your osteopath may use include the following. Massage. This is when your osteopath directly applies pressure to the soft tissues of your back. It aims to reduce tension in your back and relieve your pain. Manipulation. In manipulation, your osteopath will make a quicker thrusting action with their hands at a particular point of your spine. You might hear a ‘pop’ sound when they do this. Muscle energy technique. This is a technique in which your osteopath will ask you to push against them, while they apply force back. This aims to increase the range of motion in the affected joint. Functional technique. With this technique, your osteopath will gently move your joints into positions that reduce your tension and pain, before gradually working them back to the original position. Counterstrain. This involves your osteopath slowly moving you into the position that causes you least pain. They will hold you in this position for a short time while they monitor ‘tender points’ – areas on your body that are causing your pain. Myofascial release therapy. This is a type of deep massage technique, in which your osteopath aims to release tension and tightness in your muscles. Lymphatic pump techniques. These techniques aim to help with the movement of fluid known as lymph, around your body, correcting any blockages. They’re based on the theory that a build-up of lymph in your tissues can lead to health problems. Your osteopath may also give you advice on improving your posture, and what types of exercise you can do to help with your back pain. You may feel sore for the first few days after your treatment. If you have any concerns, contact your osteopath for advice. Manual therapies such as those offered by an osteopath, are usually only one part of your treatment for back pain. It’s important that you also follow any advice your osteopath may give you on looking after your back and exercises you can do. This will give you the best chance of a quick recovery, and will help to stop your back pain coming back. The manual techniques used in osteopathy can help to relieve pain and improve how your back works. These effects can last long enough for you to get moving again and start getting back to your normal activities. Keeping active, rather than resting is the best thing for back pain. Medical guidelines for lower back pain recommend that if you’re offered manual therapies, you have them as part of a treatment package. This should include a general exercise programme and, if needed, other treatments such as psychological therapy. Studies looking into how well manipulation works have found that it’s just as good as other treatments for back pain. These include exercise therapy and medical treatment. Manual therapies such as manipulation can be associated with side-effects. These usually aren’t serious and only last for a short time. For instance, you may feel some stiffness or discomfort in the area in which you received the treatment. Serious complications following spinal manipulation are extremely rare but injuries such as a fractured a rib and damage to nerves in the spine have been reported. Although these are very unlikely to affect you, your osteopath should talk to you about any potential risks before they carry out any treatment. Most osteopaths work in the private sector either alone or in group practices. In some areas, osteopathy may be available on the NHS and your GP may be able to refer you, but this isn’t common. All osteopaths in the UK should be registered with and the General Osteopathic Council (GOsC). This means they have completed approved standards of training and follow the GOsC standards of practice and conduct. It’s against the law for anyone to call themself an osteopath unless they are registered with the GOsC. You can find a registered osteopath by checking the General Osteopathic Council register. Your osteopath may also display their registration certificate or the GOsC registration mark in their practice. Chiropractic is a manual therapy mainly used to treat back pain, and other problems with your bones, muscles and joints.